Does anyone have any idea why the bottom of my homepage is feeling all jumpy? I’ve got a feeling it might be something to do with a Flickr linked slideshow. If I leave the page open for a good few minutes the jumping up and down on a page does seem to stop, though not sure if that is just a coincidence. I also need to check in other browsers, as it might just be a Safari issue. Its nothing to do with a Flickr slideshow now I think. But it still does it for a minute or so. 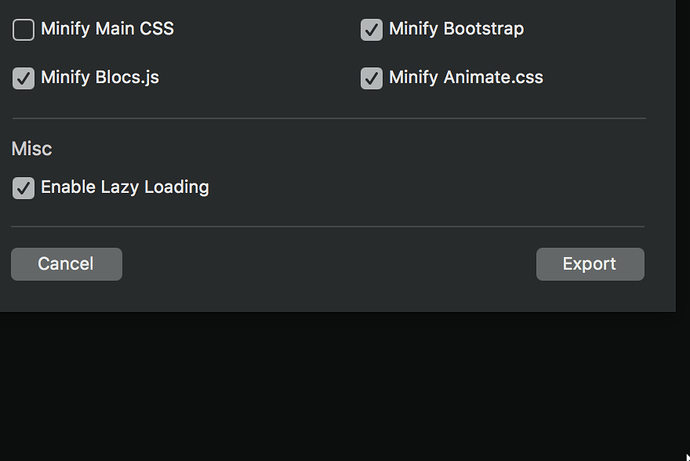 Try switching off lazyload when you export. That sorted my issue, thanks. On all animations thru site? Is it a case of changing from Lazyload one by one, or is there a universal way? It is done on export for the whole project I believe. Im going to add a setting for this in project settings soon to make it easier to switch off if required.